Say what you will about Taco Bell, but someone there has the golden touch when it comes to food gimmicks. The most recent numbers we can find say that the Mexican fast food joint has sold over one billion Doritos Locos tacos and the Cheetos burrito can’t be far behind. And now Taco Bell will do for your favorite childhood candy what they have already done for your favorite childhood chips. 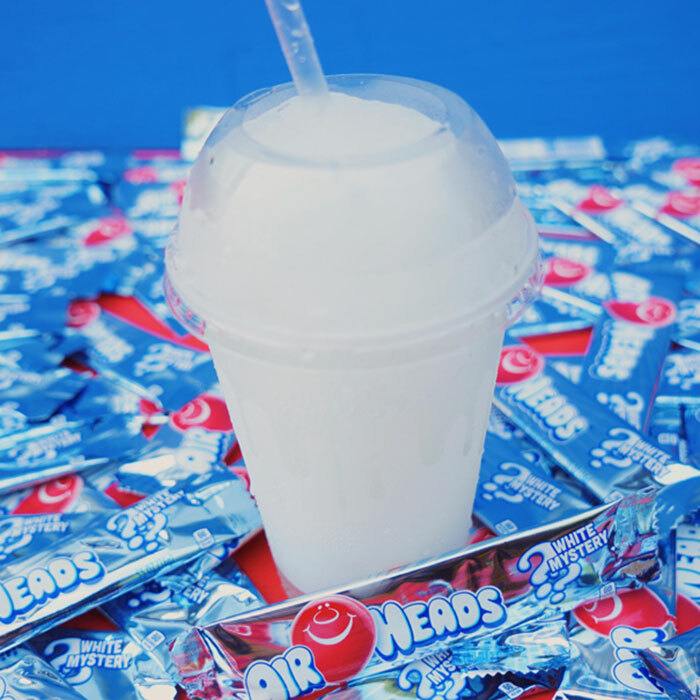 Locations around the country will begin selling Airhead Freezes. And the slushy drinks won’t come in just any Airhead flavor, they will come in the coveted white mystery flavor. Remember how you and all your buddies used to play Pogs and fight over whether white Airheads tasted like cherry or lime or all the Skittles mixed together? Sure you do. At least that’s what Taco Bell is banking on. “We’re excited to fuel the conversation and encourage fans to share their flavor guesses on social media” a Taco Bell spokesperson said to CNBC. That reminds us of the ancient riddle: If a fast food product isn’t retweeted, does it even exist at all? When you’re done pondering that you can mentally prepare yourself for the nationwide release on September 19. That Monday, Taco Bell will release the mystery flavor as well as Crush Orange Vanilla, Starburst Strawberry and Mountain Dew Baja Blast freezes. 20 ounces will run you $2.99, but can you really put a price on reliving your middle school years?